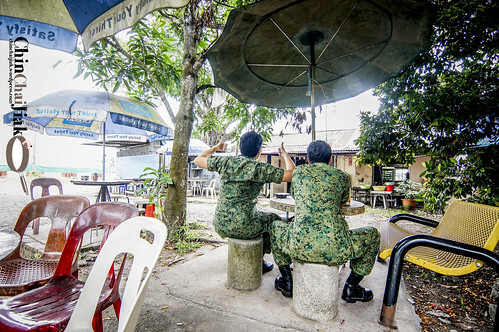 An army friend brought me to this canteen in Seletar Camp during my reservist period. 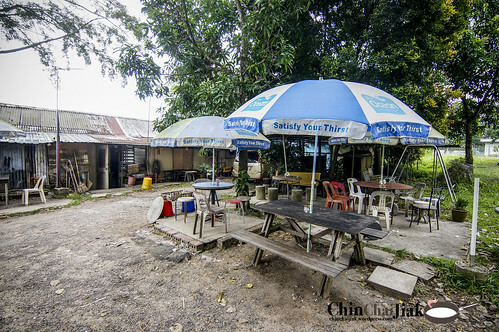 It does not has a proper name and signboard, and people known this place as Canteen 398. I was very captivated by it’s ambience and atmosphere so I decided to write about it. 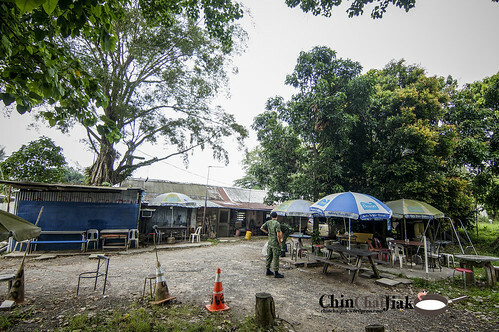 This canteen consist of three stalls – the drink stall, and a stall selling mixed vegetable rice and the third selling Malay food. 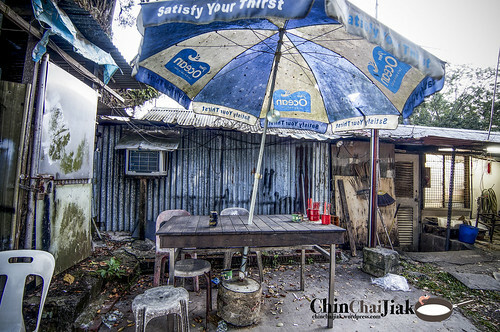 I was there nearing to their closing time at about 4pm and only the drink stall is open so i didn’t have a chance to try out the food. 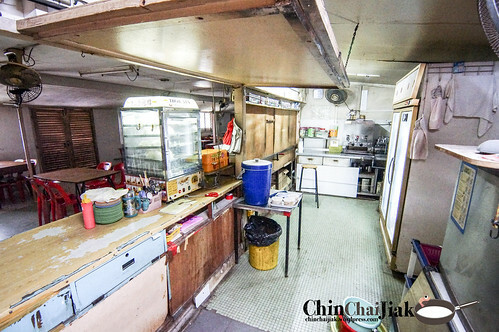 Canteen 398 is a piece of vanishing history of Singapore. 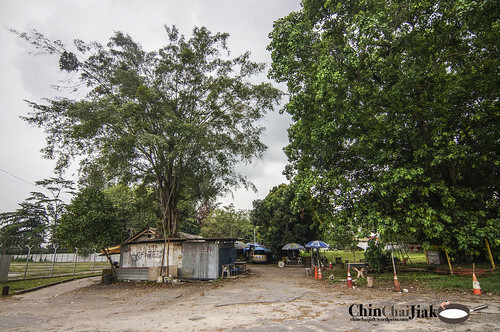 This place is situated in the vicinity of an army camp, Seletar Camp, but is open to public and is accessible by car without subjecting to any security check. The history of this building goes all the way back to our post world war two era when Singapore is still under the colonisation of Britain. This building was used by the British army as their Corporal Mess. This building was subsequently converted to a Canteen in Year 1969 and the structure and interior of the canteen has been retained till now. 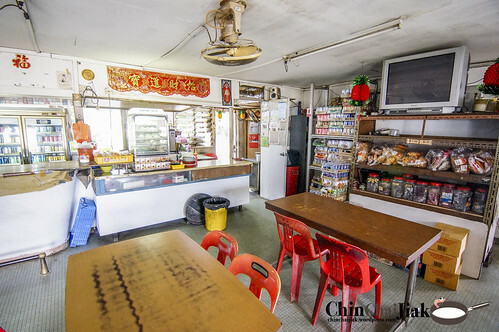 The interior design of Canteen 398 brings you back in time to a typical coffee shop in the early 1990s when solid wooden top table and red stackable chairs are still widely used. 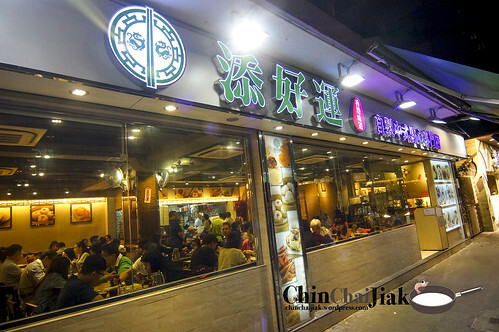 The old school mosaic tiles flooring and the unpolished wall and ceiling look are widely mimicked by our cafes nowadays. While exposed cable trunking and dangling cable is a big taboo for interior design nowadays, Canteen 398 serves us a reminder that such minor details do not matter back in those simpler days. 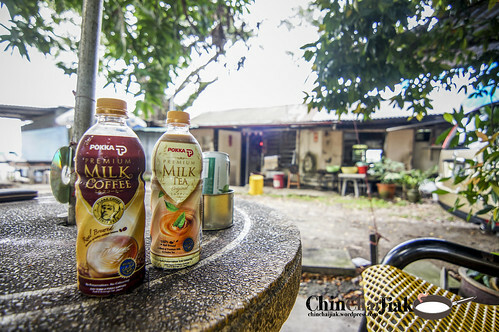 Even at a warm afternoon at 4pm, i felt a sense of serenity while I was seeping my Teh-C at the outdoor stone table. 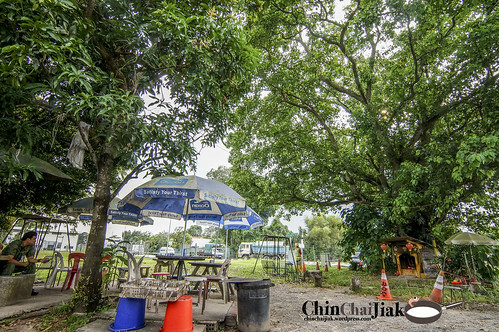 Sitting at the “al-fresco” area under a hundred years old tree, and away from the city and crowd gives an entire different meaning to the term “chilling”. 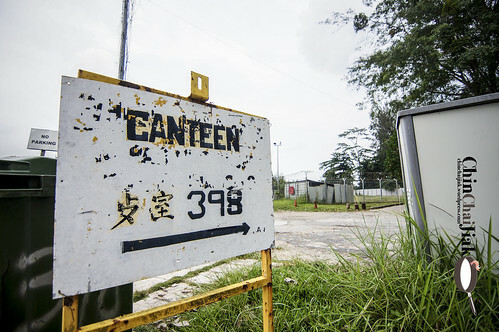 I don’t think such a place like Canteen 398 can be found at anywhere else in Singapore. The progress of Singapore is scarily fast and there is almost nothing to identify our childhood with. Yes, we do preserve the old, but only if it makes any commercial sense. 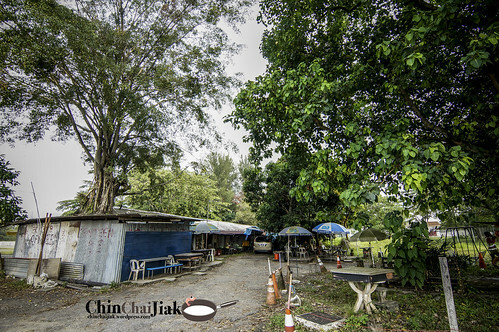 Like our Kampong Buangkok, the last kampong in Singapore, eventually still has to make way for future development. Coming here to Canteen 398 gives me a sense of closeness to this place although it’s only my first visit. 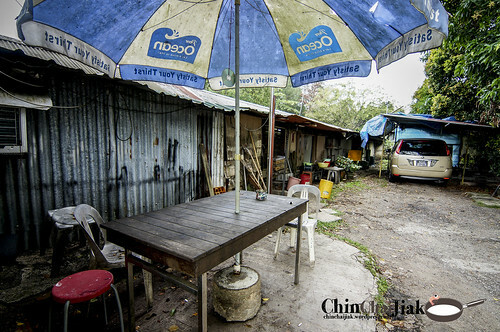 It offers a glimpse of Singapore’s humble past when things are not as perfect and not as comfortable as today. However during then, everyone learnt to enjoy life’s simple pleasure. 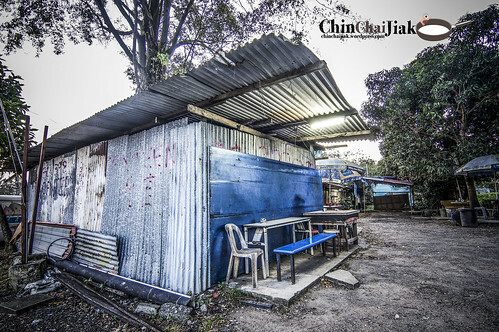 If you are there, do have a chat with the drink stall owner Mr Toh. 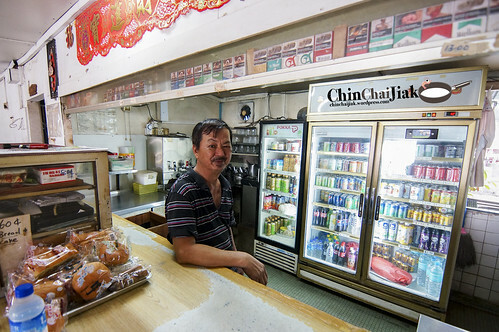 He’s really a friendly chap and i love his enthusiasm in introducing the Canteen’s history to us. Given the current cafe hopping culture in a clean, air-conditioned environment, i like to highlight that Canteen 398 is definitely not the place for everyone. There is no fancy food menu to rave about and also no squeaky clean environment to talk about. 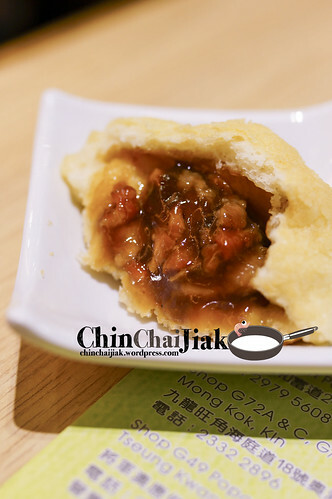 However the experience at Canteen 398 is one of a kind in Singapore. You either hate it or you love it, and it’s definitely the later for me. Take bus 103 at Serangoon interchange and alight at After Baker Street, Seletar Aerospace Drive, 22 stops later. 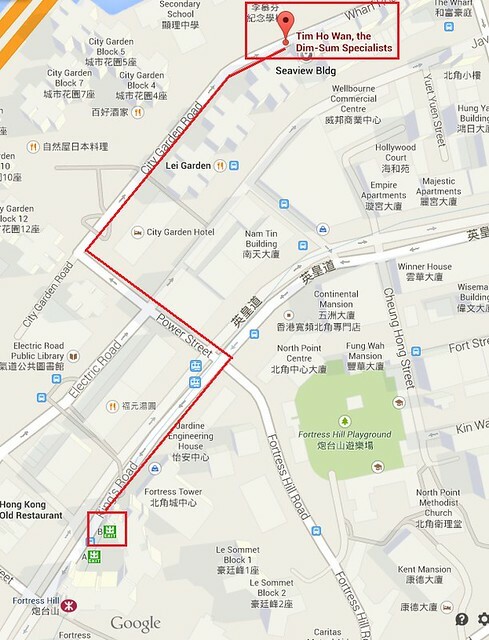 Take a train to Sengkang MRT and transfer to LRT and alight at Thanggam LRT. 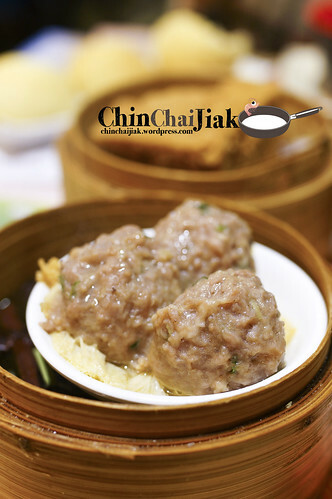 Take a short 5 minutes walk to Jalan Kayu shop house and board bus 103. Alight at After Baker Street, Seletar Aerospace Drive, 4 stops later. 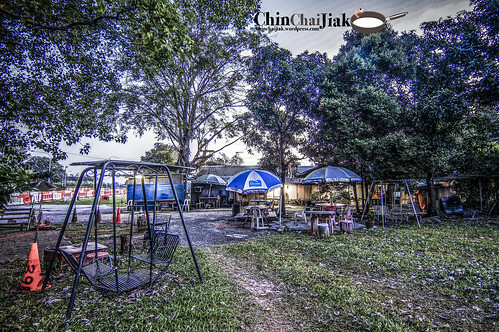 Both stalls are situated in a Coffee Shop at 205D Compassvale Lane. It’s not easy to find good food at Sengkang but you can find two pretty decent one in the same coffee below a multi-storey carpark. 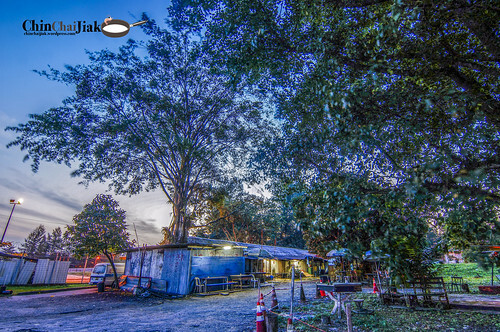 Poh Kee is a very well known Satay stall at the North-East region. 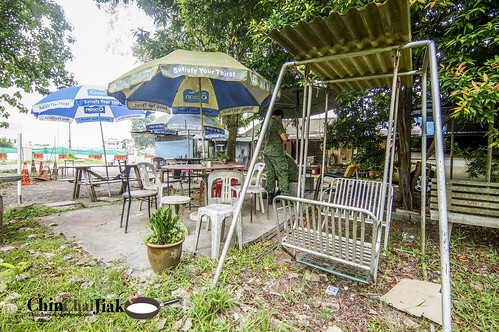 It was previously at a coffee shop that is near Nakhon Kitchen and it moved to Sengkang a couple of months ago. 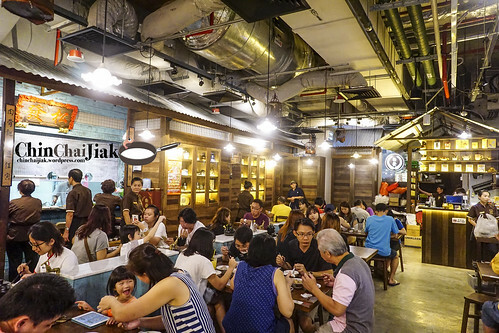 During dinner time, a 30 minutes wait for Poh Kee’s satay is a norm, even at such ulu neighbourhood coffee shop. This stall is manage by a Chinese lady, easily identified by her super curly hairstyle. 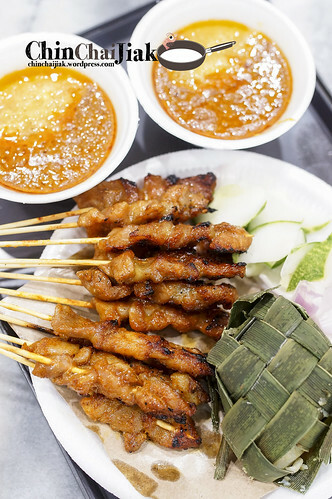 Poh Kee is a Chinese-Style Satay stall that offers Pork, Chicken and Mutton satay. 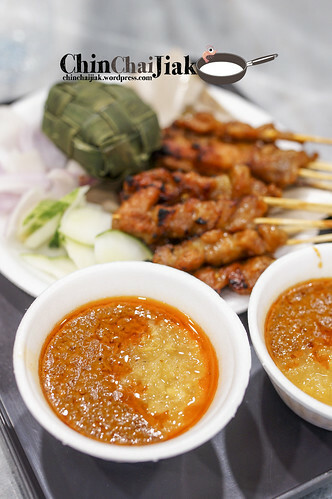 There are two things I really like about this satay – their peanut dipping sauce and pork satay. 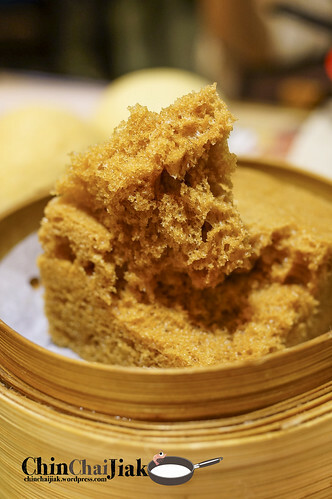 Poh Kee added grinded pineapple into their dipping sauce that adds on a little tinge of sour and pineapple fragrance to it. 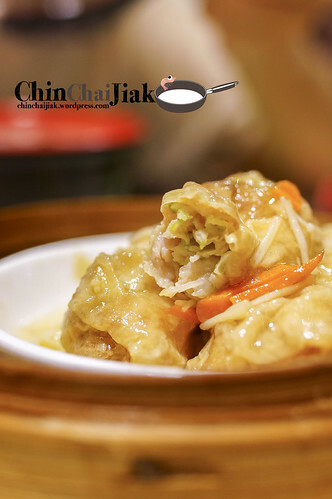 The peanut sauce is really smooth, not overly thick or cloying. It doesn’t taste greasy and not overly sweet. The highlight of the meal is the pork satay. 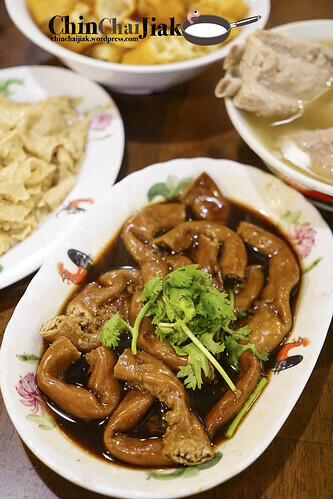 Poh Kee uses Pork Belly cut for their Chinese-Style Satay. 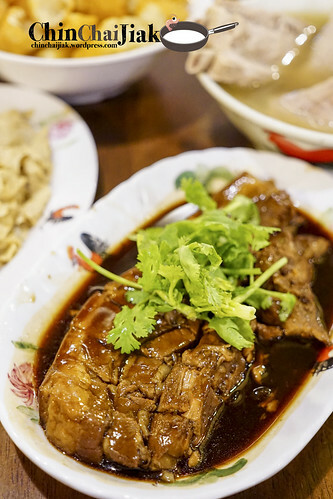 Apart from the well-marinated meat and the skillfully grilled texture, the best part is fatty part of the pork belly. 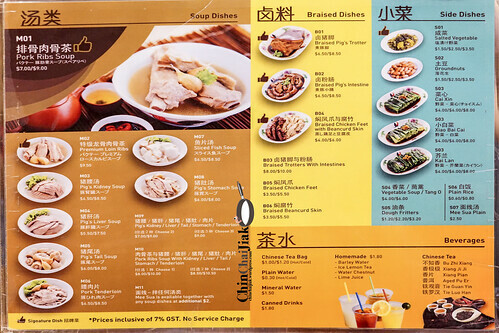 $7.20 for 6 chicken and 6 pork. Not exactly cheap. Due to the grilling over Charcoal Fire, the fiber in the fat breaks down resulting in an almost-melt-in-your-mouth texture. 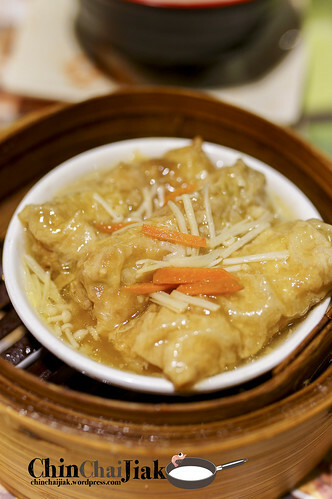 Each mouth is filled with the grilled pork fragrance. Definitely my favourite choice among the three. 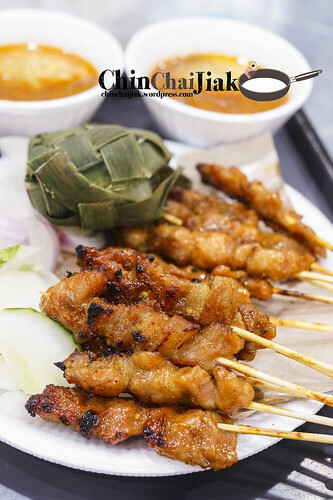 I consider the Chicken satay as more ordinary comparing to the pork satay. At $0.60 a stick, it is not exactly economical (they are selling $0.50 a stick before they move), but I do visit Poh Kee for their pork satay for occasional sinful indulgence. 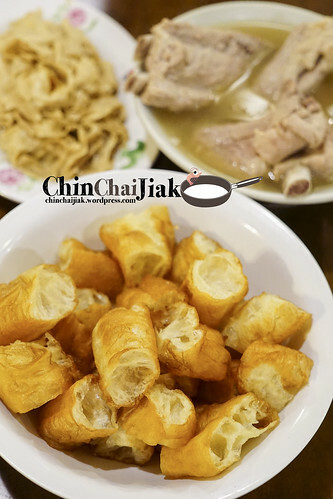 Malaysian-style dishes are becoming more popular in Singapore as they are slowly introduced into our Singapore food community and Penang Kia is one such stall that offers authentic Penang-style dish. 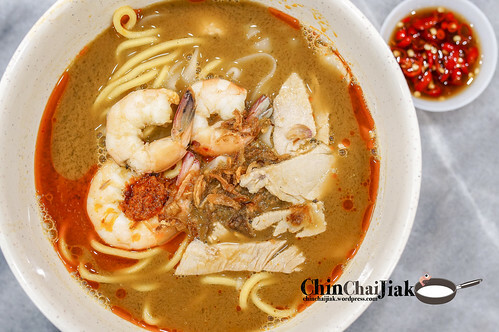 Penang Kia serves a kind of prawn noodle that is similar to one of Penang’s most popular dishes, Penang Hokkien Hay Mee, as their signature dish. 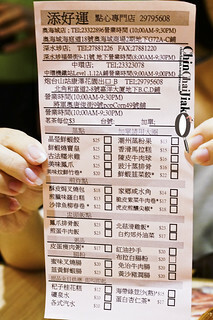 Don’t mix this up with Hokkien Char Hay Mee (Stir Fry Prawn Noodle). 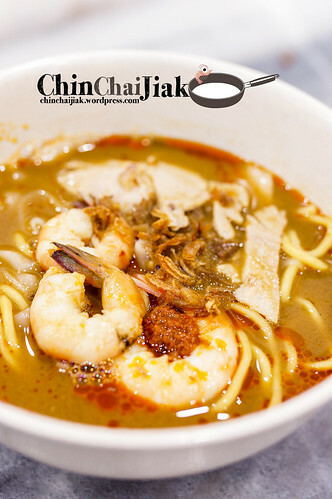 The prawn broth plays a critical role for the Penang Style Hokkien Hay Mee. 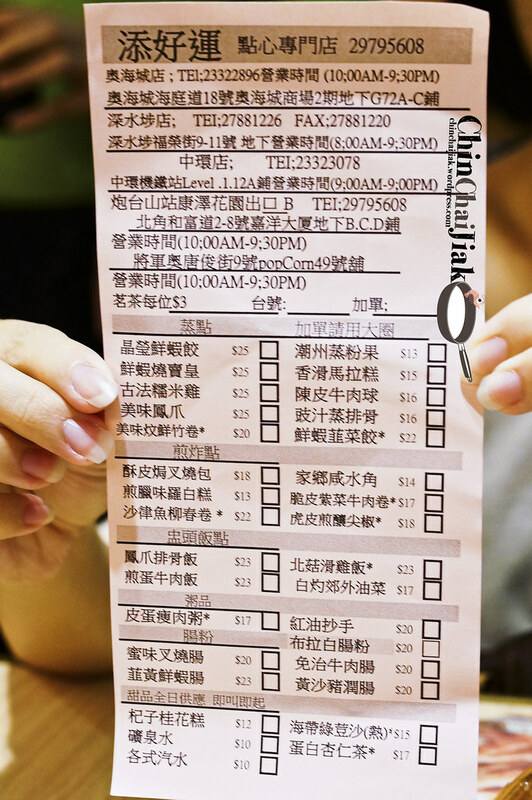 Penang Kia had changed their menu a couple of times and the most recent addition is the big prawn noodle at $5.50. 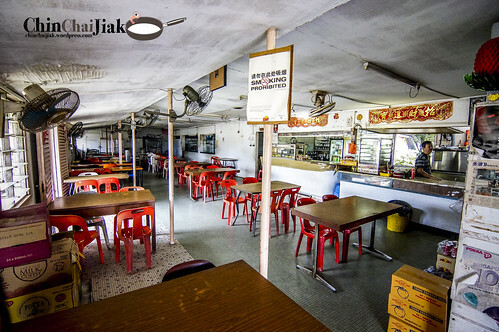 Their signature dish still remains as the prawn noodle soup at the cheaper $3.50. I actually had this a couple of times and the standard fluctuates. 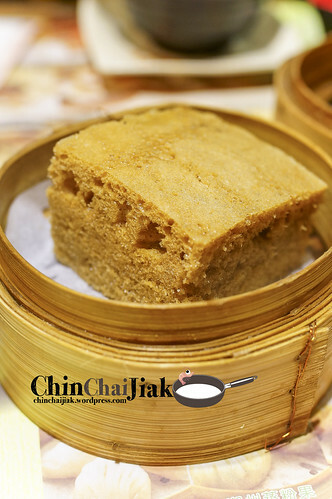 They used to use shrimp instead of prawn and at one point of time the shrimp is kept for an extended period of time until the texture turned powdery. Recently, they got back the standard and had a constant crowd during meal time. 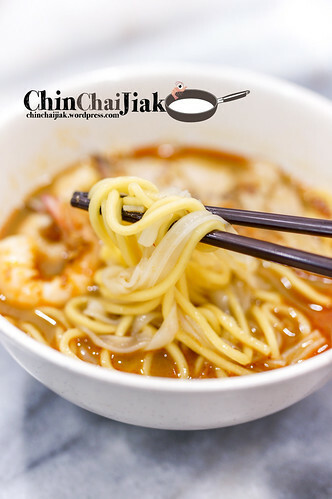 Penang Kia’s prawn noodle is served with crunchy bean sprouts, peeled prawns with meat laid on top and complete with fried shallot, chilli and chilli oil. 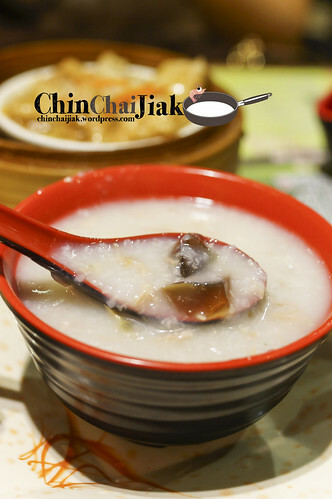 The soup is robust and full bodied without an overly strong prawn taste. 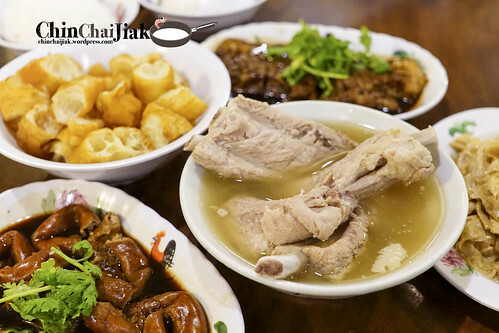 The sweet tasting broth is definitely the highlight of the dish. 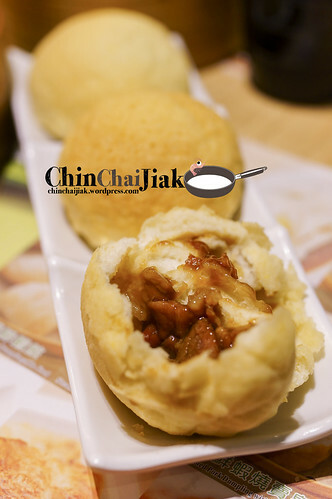 If you can take spicy stuff, then go for their chilli version that adds on a shiok factor to the soup. 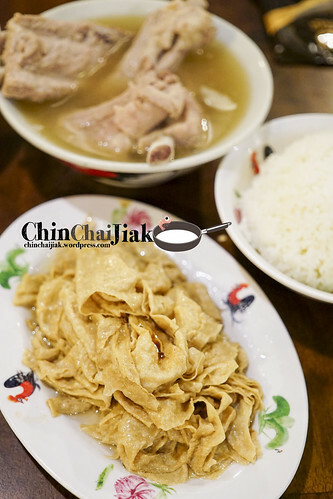 I think so far the best combi to go with their soup is Kway Teow Noodle with the smooth Kway Teow absorbing the broth with the noodle adding a chewy texture. 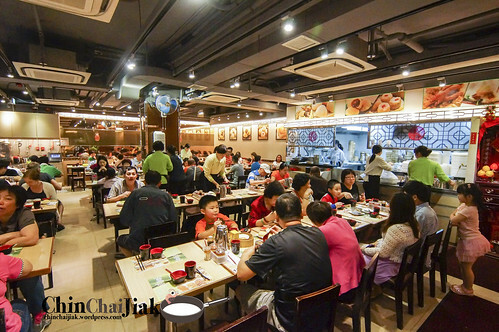 Sengkang is still considered a relatively new neighbourhood with little exciting choice for good food. With more youngsters and food lovers moving into Sengkang/Punggol area, i hope business owner can see the potential in it and start moving their business into this new district. Poh Kee Satay and Penang Kia is a good addition for Sengkang food lovers and i hope it’s only the beginning of the revolution.